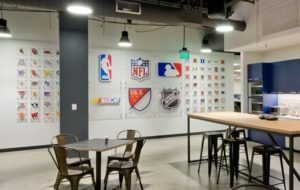 Fanatics, a leading Sports eCommerce Company with $2.2 billion in revenue, had been an existing Atlassian customer for a number of years on the Atlassian Cloud, but managing and fully incorporating the desired add-ons became a challenge. It needed an expert partner to plan, execute, and support the transition of its Atlassian applications to the AWS Cloud. iTMethods worked with Fanatics to migrate from the Atlassian Cloud to an Atlassian Data Center solution iTMethods DevOps SaaS Platform. This enables Fanatics to get the most out of Atlassian’s suite of team-oriented tools and AWS’ scalable and secure infrastructure, ensuring the system is ready to keep pace with and encourage Fanatics growing needs. What Did the Fanatics Achieve with iTMethods DevOps SaaS Platform for their Atlassian Applications? Migrating its Atlassian applications and add-ons to the AWS Cloud enables the Client to use its tools to their fullest—maximizing scalability, reliability, and security. Deploying Atlassian Data Center on AWS lays the groundwork to encourage company-wide adoption of Atlassian tools. iTMethods’ ongoing management ensures a seamless experience for users so that the Client can focus on what matters: sharing its love of sport with fellow fans around the world.